Palm Candy / Palm sugar is made from the sap of the Palmyra palm. It is got by making several slits in the palm tree and collecting the sap. The sap is later boiled till it thickens.This palm candy or palm sugar is a natural alternative [/ natural sweetener] to processed sugar. While we are at this topic of natural alternative to processed sugar, let us see what the term ‘natural sweeteners’ really means.Natural sweeteners are those sweetening substances that have the same nutrients / minerals that are found in the original raw product.Also chemicals are not added while processing these products to get the sweeteners. In India, Tamil nadu is one of the places where you can find this kind of sweetener .Sri lanka too is famous for this kind of sugar. Palm Candy / Palm sugar is rich in Iron and is a body coolant. It is more nutritious than refined sugar.This sugar also has loads of other health benefits like used to treat coughs , heals lung and throat infections and strengthens the bones. Palm candy can be used as a substitute for refined sugar.It is used in the Thai cuisine not only as a sweetener in sweets and desserts but is also a part of some Thai sauces and curries. Some recipes that use Palm candy..
nice post. never knew that is famous in Srilanka. Thats an informative post… I prefer using unrefined sugars over refined white sugar. Good write-up PJ.I'm wondering if it can be used in place white sugar in regular sweets, tea/coffee, baking cakes and cookies etc. Have u tried? 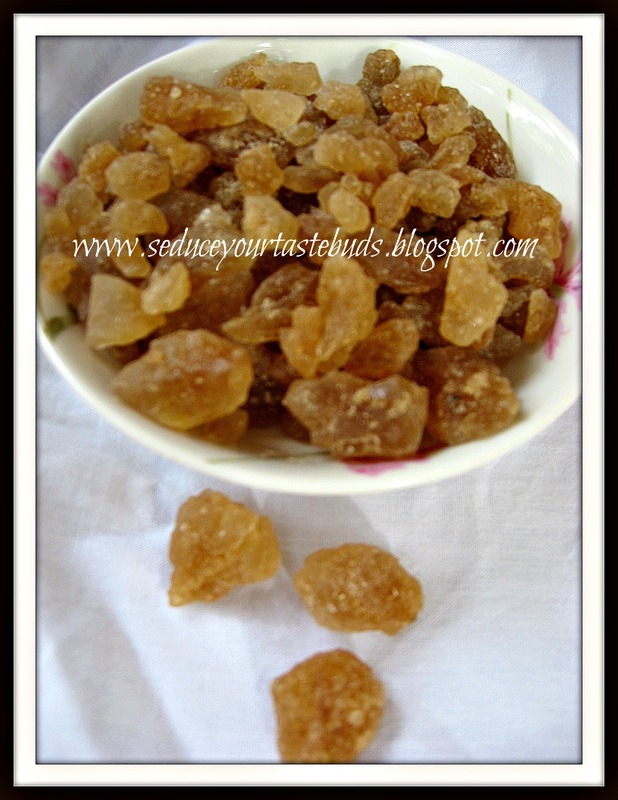 Nandhini,Panamkalkandu can be used instead of regular sugar in tea and coffee.I have not tried in bakes though.You can use it in Indian desserts but the taste may vary and use may need to use large quantity compared to regular sugar to get the right taste.If you try do let me know….